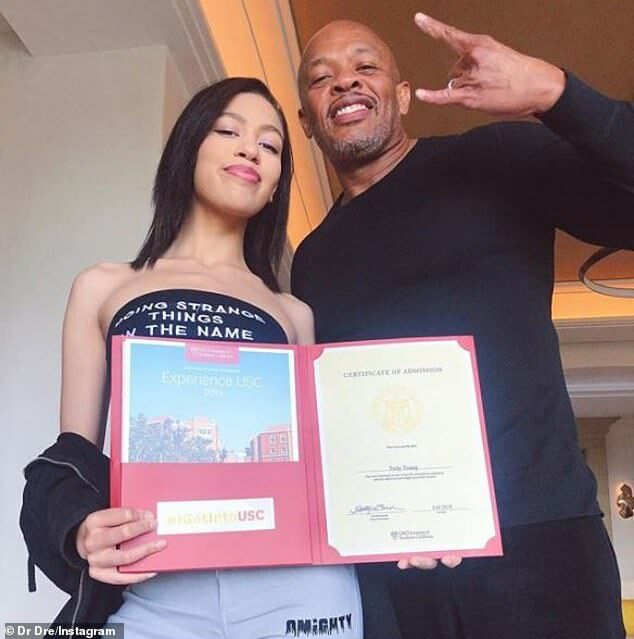 Dr. Dre has boasted about his youngest daughter being accepted into the University of Southern California 'all on her own' - six years after the rapper donated $70 million to the school. The rapper, whose real name in Andre Young, took to Instagram on Saturday to brag about his 18-year-old daughter Truly Young's acceptance into USC. 'My daughter got accepted into USC all on her own. No jail time!!!' Dre wrote alongside a photo of them posing with Truly's certificate of admission. 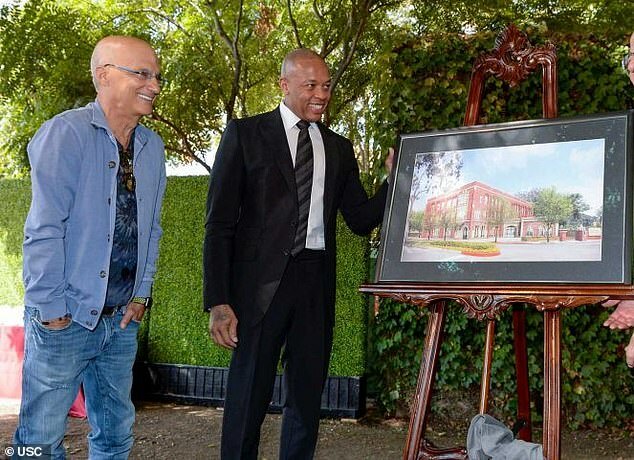 Her admission comes six years after Dre and record producer Jimmy Iovine made a whopping $70 million donation to USC. 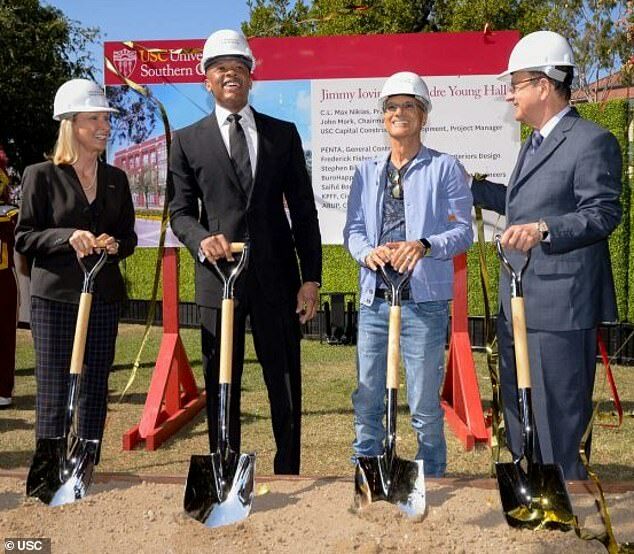 Their donation in 2013 went towards creating the USC Jimmy Iovine and Andre Young Academy for arts and technology. They also have a building named after them on the USC campus. Dre's 'no jail time' comment was a jab at the 50 people charged earlier this month in the largest college admissions cheating scandal in U.S. history. USC was the most implicated school involved in the cheating scandal after prosecutors said wealthy parents either paid bribes to have a college counselor rig standardized tests or get their children admitted as recruits of sports they didn't play.